Today the HTC One M8 was unveiled as the successor to last year's HTC One. The new device comes with a larger 5 inch full 1080p HD display, a newer sleeker design, dual rear facing "Duo" cameras, an updated sixth sense UI and a power powerful Qualcomm Snapdragon 801 processor. HTC doesn't plan to waste any time getting the consumer's hands on their brand new flagship device. The HTC One M8 will be available immediately at $200 to $250 on-contract or $650 off-contract, based on your requirement and location. In terms of design, HTC has once again released a winner, with a premium metal chassis found on very few smartphones in the market. 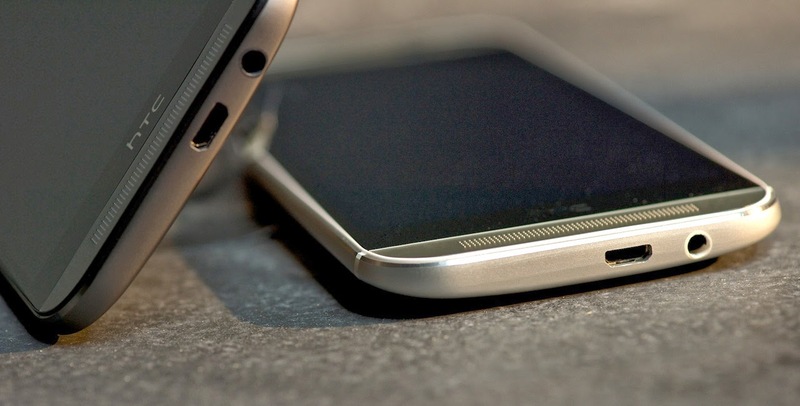 We are curious to see how the HTC One M8 will perform its main rivals - the Sony Xperia Z2 and the Samsung Galaxy S5. You can read a full review of the HTC One M8 on PhoneArena.